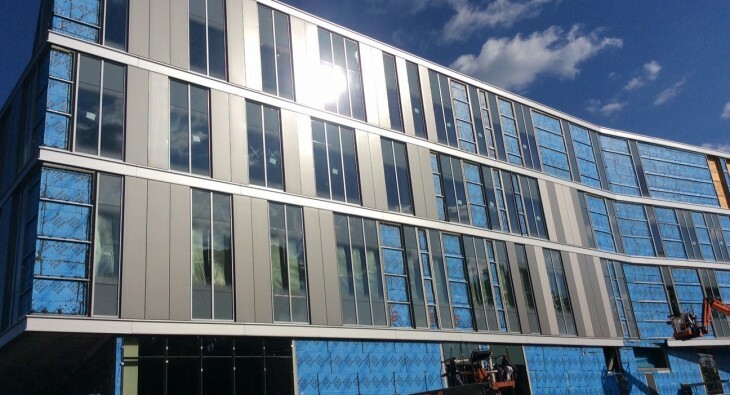 Insulated metal panels are wrapping up at UMASS Lowell! Just in time for the upcoming school year! 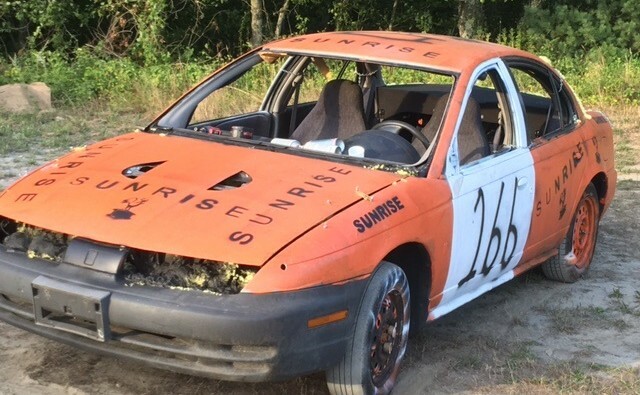 Sunrise competed in the Marshfield Fairgrounds annual demolition derby last night! Great job by our driver, Niko! 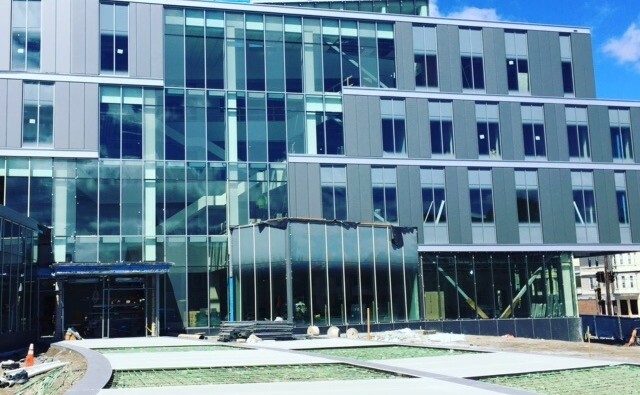 Progress shot of the New England Conservatory project! 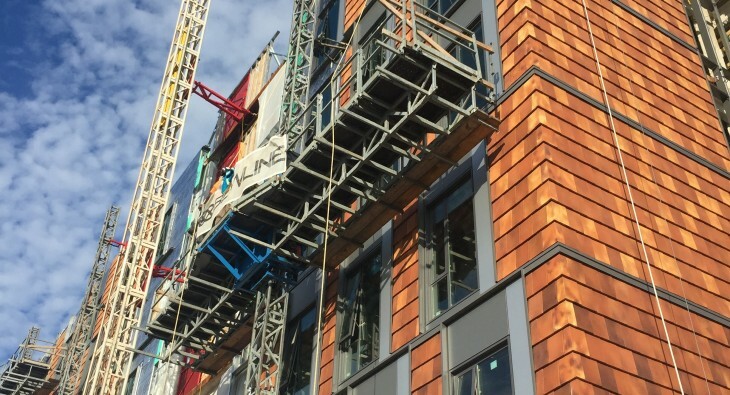 SEI hard at work installing the mosaic pattern terra cotta tiles and the ACM panels around the windows! 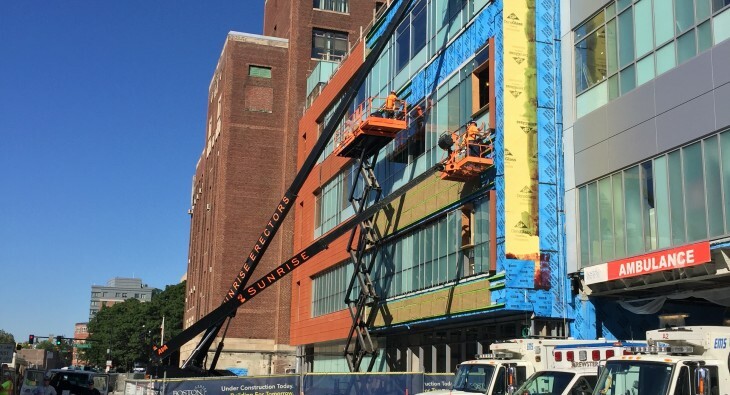 Not a cloud in the sky at Boston Medical Center! Happy Friday!